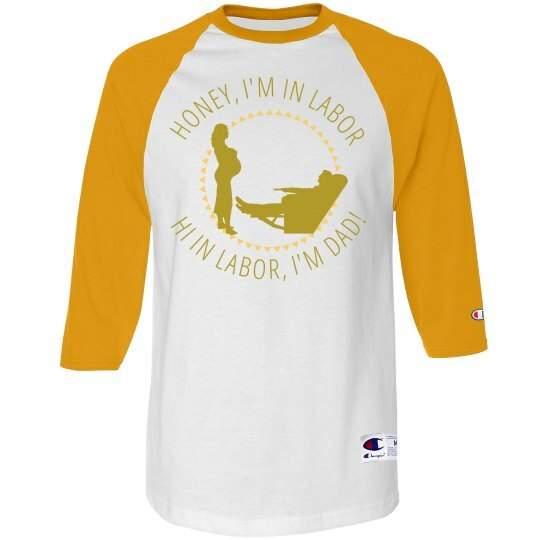 Okay, this is part two in our ongoing series of "a Dad is about to be born and is already making hilarious Dad jokes he is going to be a good Dad". See the entire series by clicking on the hi-pregnant tag. You see, some might consider his Dad joke illegitimate, if he is not an official Dad. But once his child is born, well, all bets are off. The jokes are not legitimate and locked and loaded. 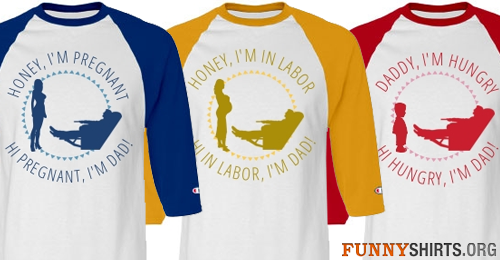 Custom Text: HONEY, I'M IN LABOR | HI IN LABOR, I'M DAD!